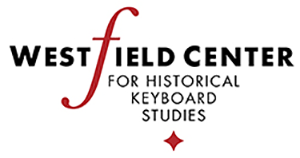 The festival will feature pianos from virtually every epoch of the instrument's history. With repertoires ranging from 18th-century to new music, it will showcase the many opportunities for artistic expression, technical creativity, and musical learning that the multiplicity of instruments old and new offers pianists today. Recitals by Alexei Lubimov and Kristian Bezuidenhout; a reunion concert by the performers of "Beethoven:The Complete Piano Sonatas On Period Instruments" (Malcolm Bilson, Tom Beghin, David Breitman, Ursula Dütschler, Zvi Meniker, Bart van Oort, and Andrew Willis), two decades after the original concerts (in New York and Utrecht, 1994) and recording sessions (Claves Records, 1997); performances by Xak Bjerken, Penelope Crawford, Liv Glaser, Tuija Hakkila, Erin Helyard, Hardy Rittner, Anthony Romaniuk, Jiayan Sun, Miri Yampolsky, among others; chamber music featuring Michael Compitello, percussion, Martha Guth, soprano; R. J. Kelley, natural horn, and Lucy Russell, violin. Lectures, workshops, and demonstrations by leading piano scholars, builders, and technicians.